"This is me (on the right) with my best friend David, taken outside our apartment building on Hillside Avenue in Queens, NY. I love the fact that we are holding hands and we seem to be deliriously happy!" My pal, Paul Vitagliano, posts true stories from gay men and women about what it was like growing up gay, then includes photos of them from when they were kids. Paul has a very popular new book of photos and stories from his blog called, "Born This Way, Growing Up Gay" available on Amazon.com: Born This Way. Happy Thanksgiving, Vintage Lesbian Style! 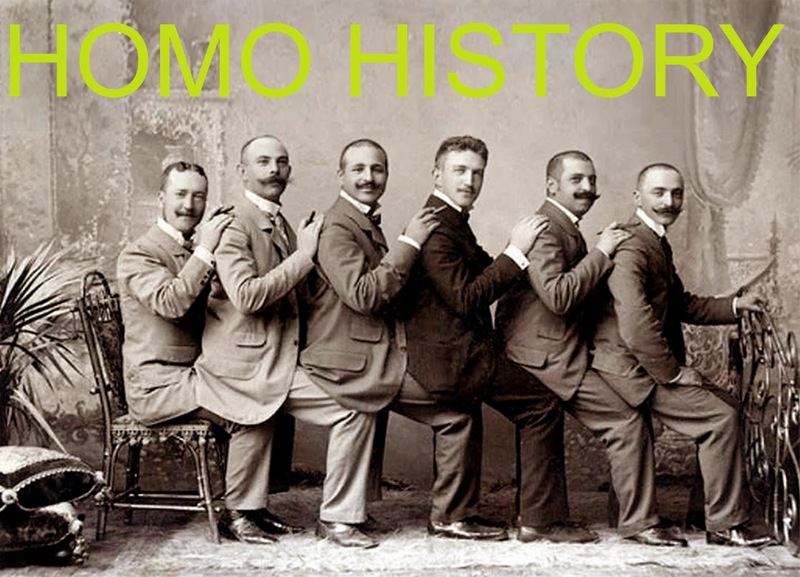 Boys will be Boys, more Vintage Gay Couples. Protect your rights; don't forget to vote today! A Roll in the Hay!